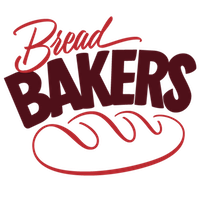 Many a time, I wonder if I had apprenticed at my neighborhood bread maker’s bakery when I was a still an impressionable young person, I might have made a name for myself in the art of making breads. I didn’t apprentice so I have not made anything in the name department for myself. But I did observe and I absorbed. 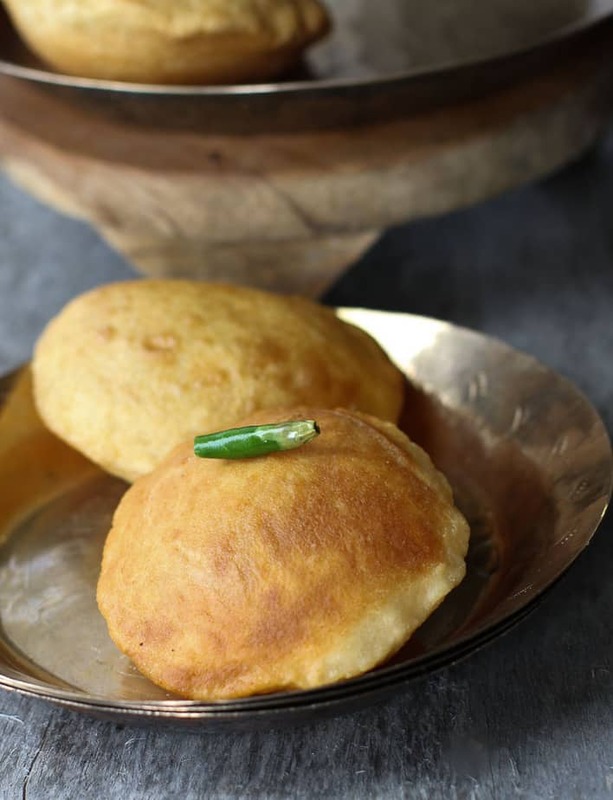 The rhythmic kneading, the gentle folding, the blistering heat and the divine aroma of baked bread. It’s all etched in my memory. And bread making always takes me back home to those carefree days. I hope someday my daughter looks back on our bread baking projects with some pleasant longing. 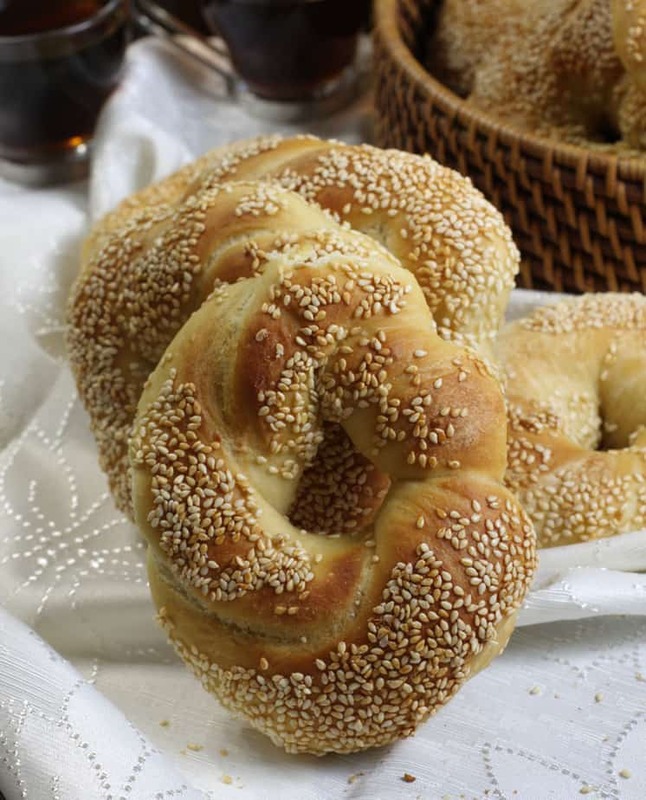 She loves home made breads and fougasse is one of her favorite breads. 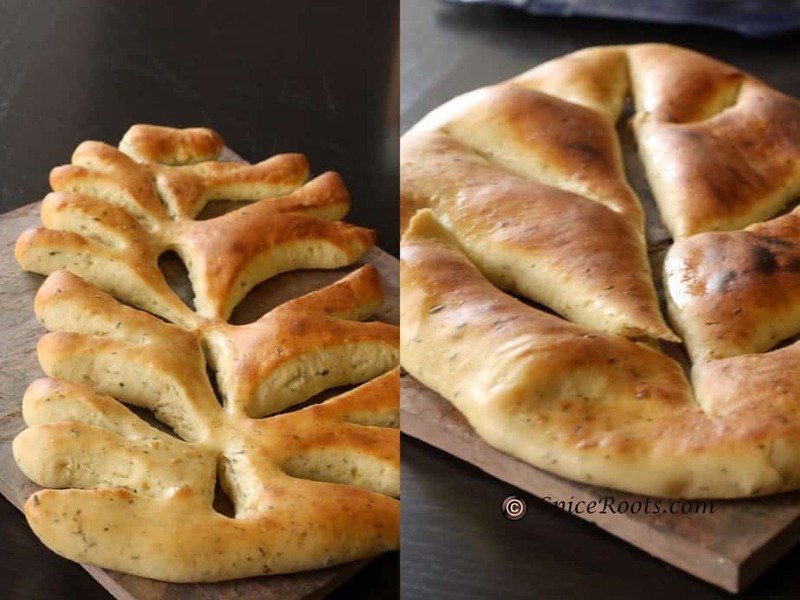 I made the Rosemary and Garlic Fougasse for this month’s breadbaker’s theme of summer bounty. 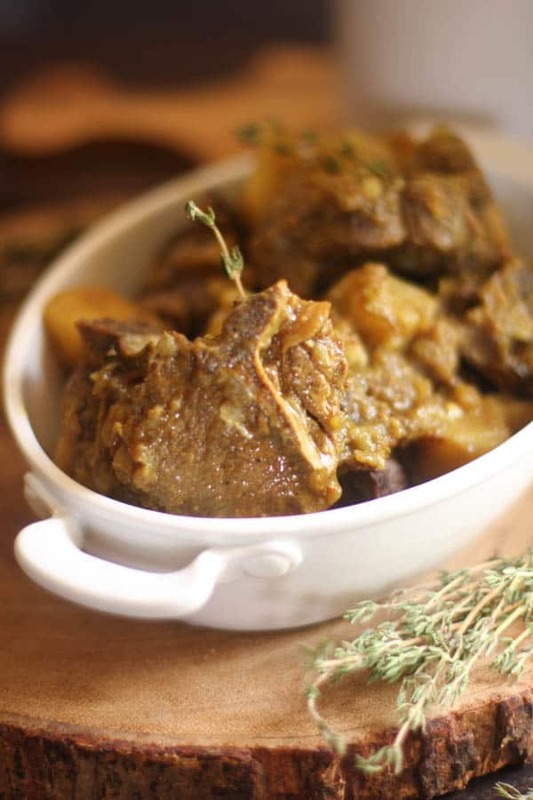 The fresh rosemary lends a nice woody aroma and paired with garlic and olive oil, it simply magnifies the taste. This time I also played around with adding a little more hydration and little less yeast and lot of time. Time is what you need to let the flour do its magic you can have a delicious and beautiful bread. The best part about this bread is that once it is in the oven, you only need wait a few minutes for it to bake. I think that is the best part. I love eating a hot from the oven bread even though I strongly advise you against it. It burns the mouth sometimes. Put the water into the mixing bowl of your stand mixer fitted with the paddle and add the yeast. Wait about 10 minutes for the yeast to bubble up. Add in the flour and salt and mix and knead into a sticky dough. Gently heat the olive oil and add the garlic into the oil to cook slightly. Punch the dough down and turn out onto floured surface; add in the oil and garlic mix into both the dough and divide into two equal halves. Transfer to prepared baking sheets. Press in the rosemary on top. Cover loosely with a moist kitchen towel and let rise in warm draft-free area until slightly puffed, about 20 minutes. Make several incisions in each oval, cutting through dough to make it look like a leaf. Place the shaped bread on a baking stone/ steel. Bake breads until golden on top and slightly crisp on bottom - about 4 minutes on a baking steel. More on a regular stone on or if you are baking on a baking sheet. Transfer bread to cooling racks and eat after it has cooled down slightly. 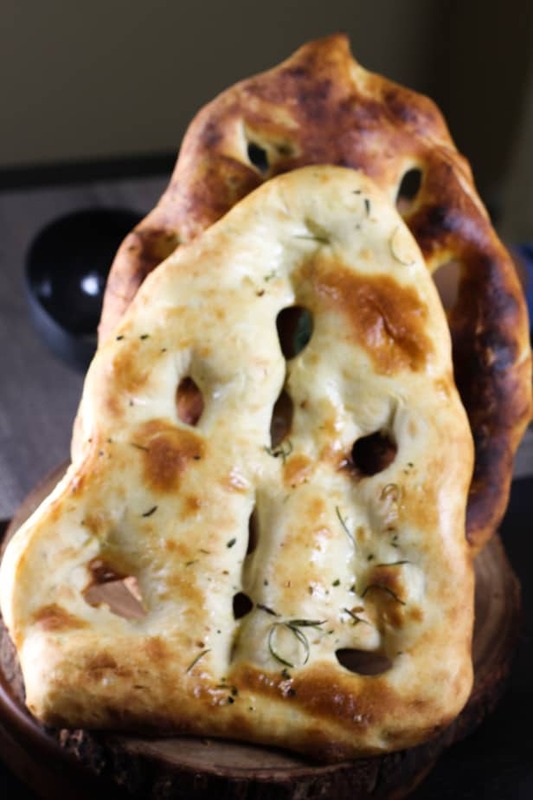 Your fougasse looks so good, would love to try this one sometime..
Fougasse has been on my to-bake list for a long time. 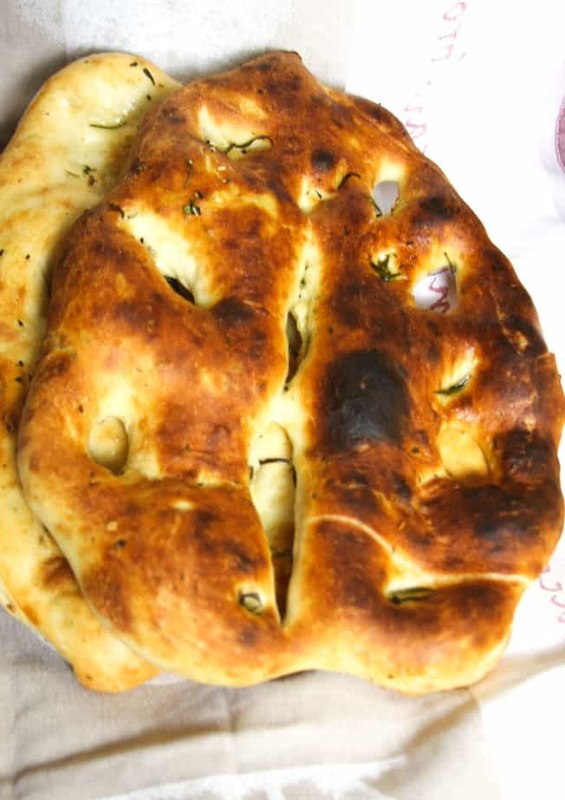 You’re aromatic and beautiful looking fougasse is tempting me to make it right away. I can see how one would be tempted to eat this bread while it is hot and right out of the oven. I knew your bread would be beautiful as soon as I saw the name, Anshie. Fougasse is one of my favorite breads to buy in the bakeries of France but I’ve never made my own. 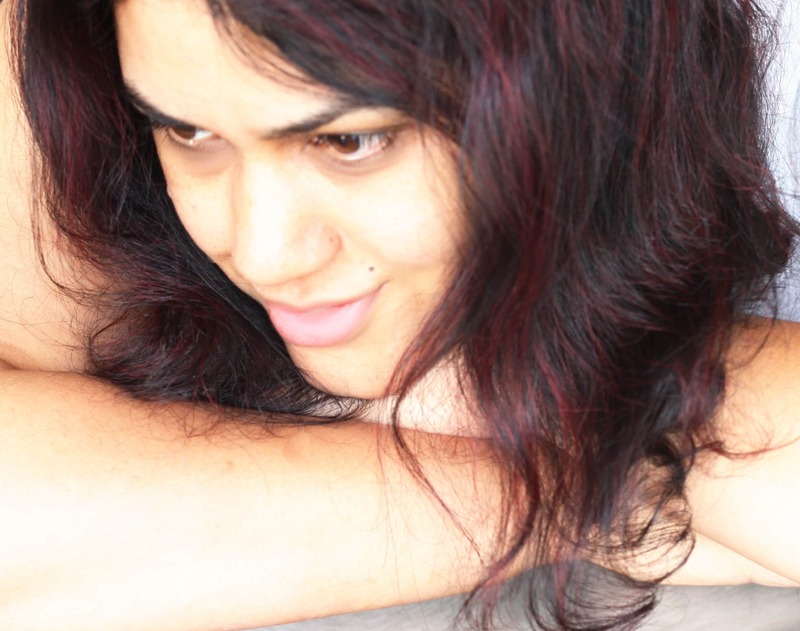 I’m pinning yours to try soon. What a lovely bread but an even lovelier sentiment. The shaping of this bread makes it stand out and it is truly a work of art. Beautiful. Your daughter will remember this so fondly! 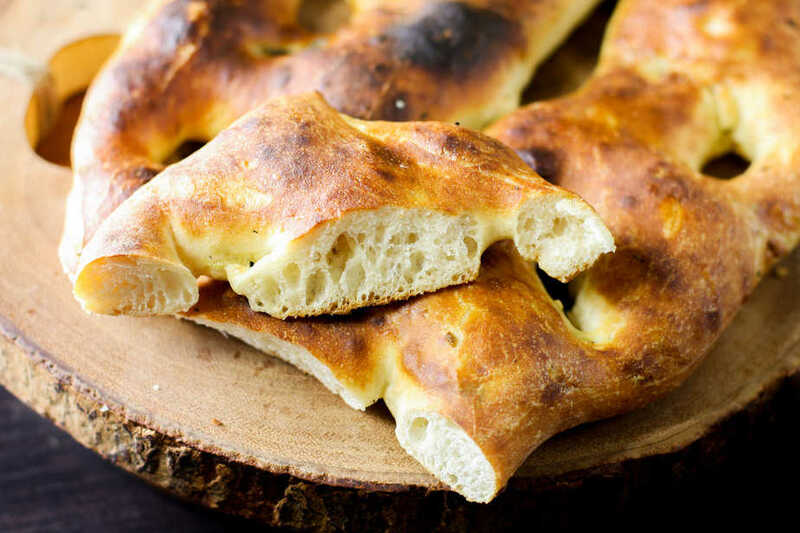 Your fougasse is simply stunning!!! 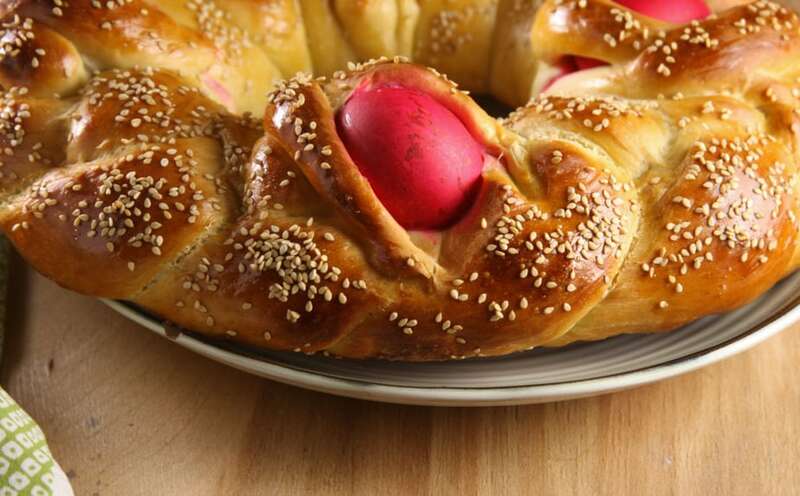 This is a very elaborate bread to make, and I love how simple you made it look. Thank you for sharing the recipe. What wonderful memories you are creating with your kids. I remember helping my Mom with pies when I was growing up. I cherish these memories. Wow you got an absolutely beautiful crust on this bread, looks amazing!